Often just an after-thought, it’s crucial putting careful consideration into where to host your new business website. While extremely cheap and thus a very attractive option, overseas companies generally are a lot slower. The speed of your website and it’s response time for potential customers clicking through various pages is an important factor that can influence your company image and potential sales. It doesn’t look great to potential clients if their first impression of your business is slow and clunky and load times make contacting you more difficult than they should be. Having your website hosted in the same country as your potential customers will often result in much faster response times for them and mean your webpages load quickly for the people that matter. 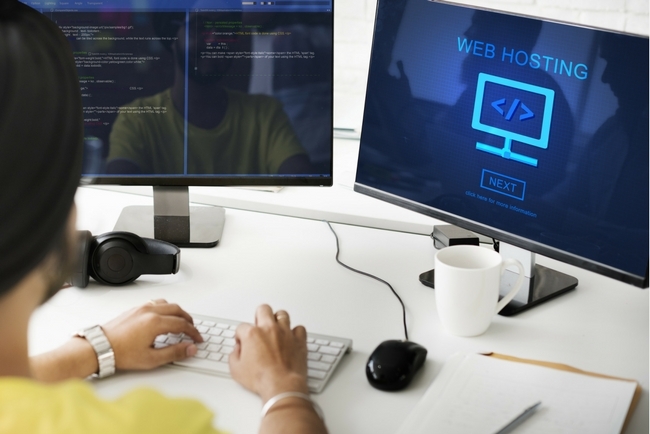 A good Web Hosting company should be built on experienced staff, implementing tight Firewall and security protocols on the server to protect your website and Email accounts against potential hackers and threats, like viruses or Code injections that commonly insert spam re-directions, illegal Phishing Scams, or other malicious Malware. If you use a very popular website development platform, like WordPress you are arguably even more of a target and need more attention to keep your wordpress website safe. With the right Server security procedures, most malicious attempts can be stopped dead in their tracks before they even get anywhere near your website. How often will your website go down? A reliable hosting company should dedicate adequate server resources to each account to ensure websites stay active. Budget hosting solutions typically include minimal hardware resources (Eg. RAM and Processors) for each account and this can often lead to slow server performance and down-time. A server with insufficient resources can quickly become unresponsive and freeze, requiring a manual restart – temporarily shutting down all websites and Email accounts for a period of time. This can happen repeatedly, sometimes several times a day depending on the web host. Upgrades to server software and hardware need to be performed to ensure optimal running of accounts. Typically these upgrades are performed after business hours to ensure websites and email are offline only during non-critical periods – a web hosting company based overseas however, will obviously not be working to business hours which match local time-zones. To save on costs, some hosting companies will crowd servers with large amounts of individual hosting accounts to maintain low prices. Sharing your hosting space with many other parties can also cause security issues, as one virus or malware breach overtakes other accounts on the server. This can infect your website and even get your website black-listed in Search Engines like Google. Spam being sent from other hosting customers sharing the same server as you can also effect your company’s spam rating and quickly see your domain Black-listed on Global Email registrars, blocking you from sending any emails. Obviously a huge hindrance on your business and an issue that will often take a hosting company many days to resolve while they are forced to manually swap your server’s IP Address. If your website is down, or you just have a quick question or need to change a setting, is there a phone number you can call for help? Can you call during your business hours? Is it an overseas call centre with long waiting times or can you call a local phone number and speak to someone straight away? Will you need to pay extra for Web Hosting support? These are all important questions to ask and vary dramatically between Web Hosting companies. We hope some of the often over-looked points are helpful when you next select a web hosting company for you business.